We are all entitled to feeling healthy and safe in the workplace, but what if you find yourself becoming sick or injured in the workplace due to unsafe or unhealthy conditions? You might find that you are unable to work due to the illness or injury, which can put significant financial pressure on both you and your family. Workers’ compensation is set up to protect workers from potentially harmful, unplanned and critical situations that can arise in the workplace, as we all deserve to work in a safe and healthy environment. If you find yourself injured or if you become ill from hazards in the workplace, you could be entitled to financial compensation. This can help to ease the emotional, psychological and economic stress if you are unable to work for a short or longer period of time, and any long-term suffering you may experience. How can workers’ compensation lawyers help me? At NSW Compensation Lawyers, we understand that making a workers’ compensation claim can be potentially life changing and a stressful and daunting experience. Speak to one of our experienced workers’ compensation lawyers today and we will be there every step of the way to ensure you receive the maximum compensation you deserve. What is a common law claim for workplace injuries? A claim at common law for workplace injuries is where a worker who suffers an injury due to the negligence of their employer makes a claim in the Court system for compensation for their injuries. What do I need to show to receive common law compensation for a workplace injury? • you suffered injury and damages because of this breach. What type of employer actions could be considered negligent? Negligent actions take many forms and will depend on the circumstances surrounding your workplace injury. In the past, the Courts have found employers to be negligent in providing inadequate protective clothing, allowing employee’s to use faulty machinery, failing to implement safe systems of work and not providing proper supervision or training to employees. At NSW Compensation Lawyers we can advise you on whether your employer’s actions would be considered negligent by a Court and whether you should make a claim for common law compensation for your workplace injury. I thought anyone who suffers an injury at work was only entitled to compensation under the Workplace Compensation Scheme. Am I wrong? In New South Wales workers compensation has been regulated by the Workers Compensation Act 1987 which limits a worker’s ability to make a common law claim for compensation arising from an employer’s negligence. You are only able to make a claim at common law if you have suffered a permanent whole person impairment of at least 15% as a result of your workplace injury. How do I know if I have suffered a whole person impairment of at least 15%? To determine if you have suffered from a whole person impairment of at least 15%, our expert legal team will arrange for you to attend an Approved Medical Specialist to have your workplace injury assessed. I was assessed twelve months ago as having a whole person impairment of 14%. Since the assessment my workplace injuries have deteriorated. What should I do? 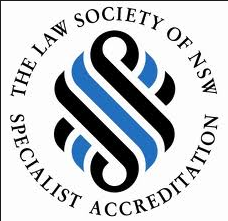 At NSW Compensation Lawyers our expert legal team will arrange for you to undergo a further medical assessment to ascertain whether you now have a whole person impairment of at least 15%. If you do we can advise you on whether it is in your best interests to make a claim for common law compensation for your workplace injury. What sort of compensation will I receive if I make a claim for common law damages for my workplace injury? Claims at common law are limited to compensation for past and future economic loss with future economic loss limited to the amount you would accrue up to the age of you becoming entitled to receive the age pension. Any damages for non-economic loss will be awarded as a proportion of the statutory sum set out in the Workers Compensation Act 1987. At NSW Compensation Lawyers we will look in depth at the circumstances surrounding your workplace injury and offer you expert advice on whether a common law claim for compensation for your workplace injuries is possible and whether it is in your best interests. If I make a claim for common law compensation for my workplace injury will I still receive compensation under the New South Wales Workers Compensation Scheme? No. If you receive common law compensation for your workplace injury you will not be entitled to receive compensation under the New South Wales Workers Compensation Scheme. In addition any weekly payments you have already received under the Workers Compensation Scheme will be deducted from your common law compensation. It is important that you receive the best possible legal advice on whether you should make a claim for common law compensation and at NSW Compensation Lawyers we advise clients on this issue everyday. Our specialist workers compensation lawyers will make sure that you have all the right advice in order to make the best decision in how to claim compensation for your workplace injury.